Colouring hair with a delicate dye that protects it, preserves its strength and enhances its beauty is the dream of every woman. Nutri Color is the line dedicated by Tricovel® to hair colouring and coloured hair care. 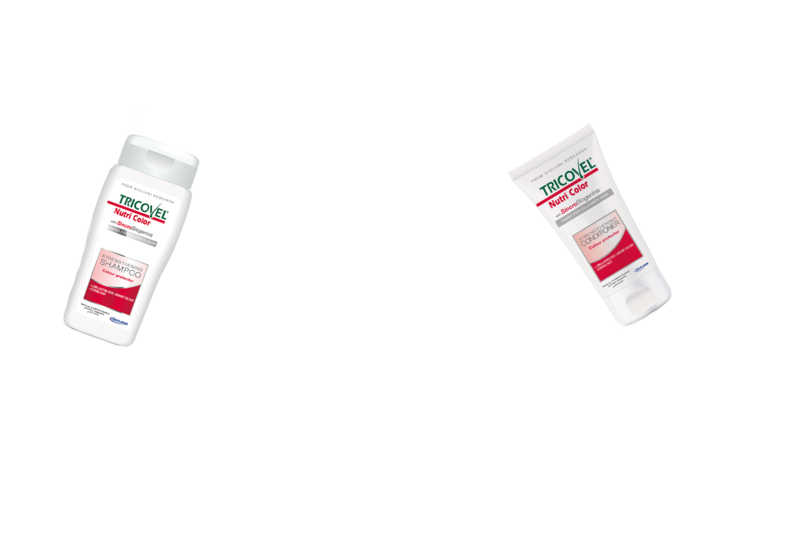 Tricovel® Nutri Color products – dye, shampoo and conditioner – form a complete and innovative treatment, specifically designed to protect scalp during dying and restore well-being to coloured hair. 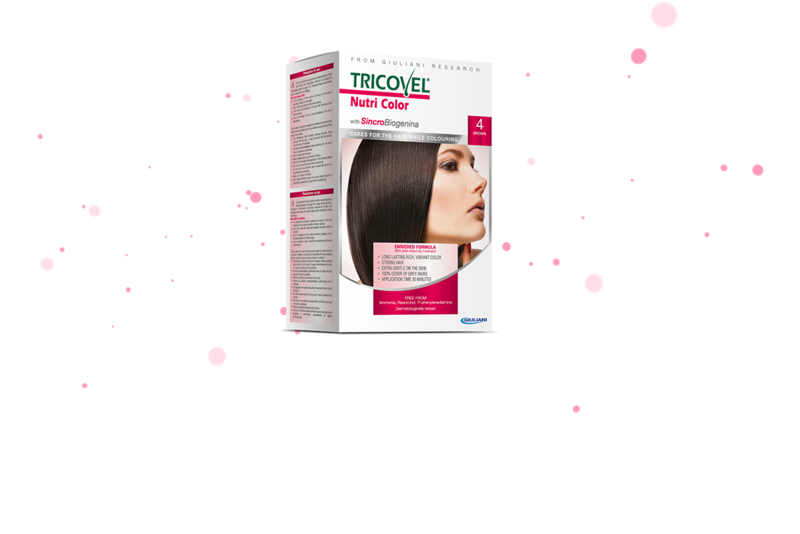 Tricovel® Nutri Color dyes, together with their specific shampoo and conditioner, guarantee a high-quality aesthetic result: the colour is intense, brilliant and hair looks healthy, strong, shiny and silky. The formulation of Nutri Color products is enhanced with a unique system of active ingredients and an innovative colouring technology for a more complete protection, a richer colour and stronger hair. The new formulation with SincroBiogenina, patented combination of antioxidants, ensures strength and protection for hair. At the same time, the Hair Barrier Complex, a pool of fatty acids and ceramides, restructures the fibre and fixes the colour, the PG3A active ingredient protects and soothes the skin, while Abyssinian Crambe Oil, Linen and Calendula extracts ensure softness and shine. Tricovel® Nutri Color dyes, available in 18 nuances, are dermatologically tested, free from the most common and irritating allergens (ammonia, resorcinol, p-phenylenediamine, preservatives, fragrance) for a high tolerability. In addition to a perfect white hair coverage, they improve the hair quality and preserve its original strength. Between one colouration and another, hair needs to receive targeted treatments to preserve its strength and brightness: Tricovel® Nutri Color Shampoo and Conditioner are complementary products that strengthen and protect the colour, developed to restore brilliance and well-being to coloured hair. With Tricovel® Nutri Color the hair fibre is respected, the colour is more intense, brighter, more homogeneous from the roots to the ends and lasts longer. See the entire range!